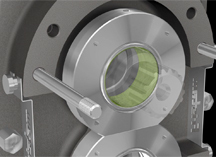 While pump design is critical to ensure its cleanability, it means nothing without a properly designed clean-in-place (CIP) system. There are many aspects to a proper CIP systems, but let's focus on those that affect cleaning inside the pump. 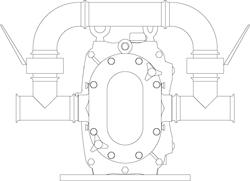 Due to its tight internal clearances, it can be a challenge to adequately CIP a CP pump. Rotors can be removed, but as we mentioned in Part 1, there are costs and risks involved. Choosing a pump design that minimizes the length of dead-leg to reach the affected area increases your ability to CIP the pump. 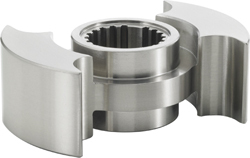 It is common practice to remove positive displacement pump rotors for clean-in-place (CIP) preventative maintenance. With a properly designed PD pump and CIP system, you can avoid these problems.